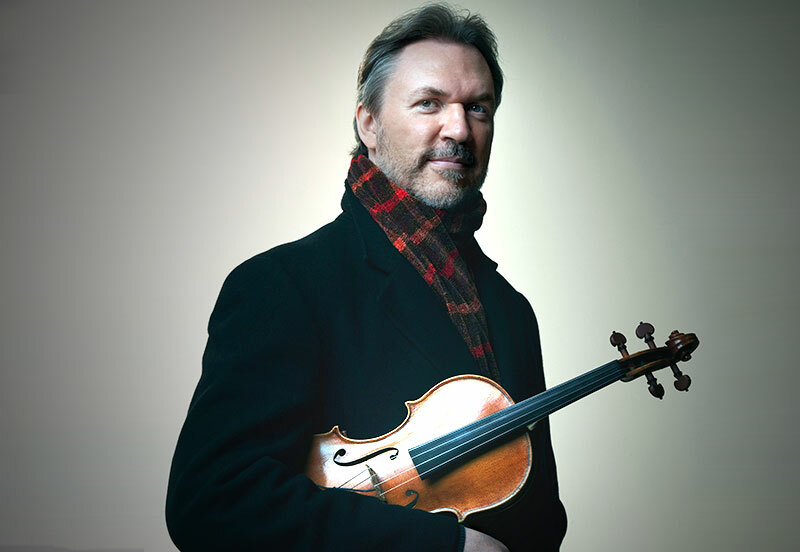 Call it violin or call it fiddle, Mark O’Connor is without a doubt one of the giants of our time on this instrument. He is also an outstanding mandolin and guitar player, as well. He is as comfortable with jamming at a country hoedown as he is with composing a classical concerto, and he has performed and recorded with Dolly Parton, James Taylor, Paul Simon, Randy Travis, the Judds, Chet Atkins, and Tony Rice, just to mention a very few of his long list of credits. The Los Angeles Times noted that Mark has “crossed over so many boundaries, that his style is purely personal.” Although he is so versatile, he clearly has one of his feet (He has many feet!) planted in the traditional folk realm. He is an immensely in-demand session musician and has performed on some 500-plus recordings. He has won 2 Grammy Awards and been nominated 6 other times. In 2010, Mark organized a recording, An Appalachian Christmas which features Mark, joined by Renee Fleming, Alison Krauss, Steve Wariner, Jane Monheit, and James Taylor on vocals, Sharon Isbin on guitar, Yo-Yo Ma on cello, Edgar Meyer on bass, and Chris Thile on mandolin. The music was so popular, that Mark has made a touring show each December, bringing this music across the country. It will be different musicians on this tour, and we don’t know the names of the performers at this time, but knowing Mark’s integrity, they will all be masters. We are delighted and honored that Mark will be performing in Pasadena at Beckman Auditorium, “Big Beckman,” just east of Beckman Institute Auditorium, where the Folk Music Society has its shows. See Mark’s web site here. Ticket prices are: $45; $40; $35 • $10 for youth. All seats are reserved. Mention the Folk Music Society and you get a $5 discount on tickets, both in advance and at the door on the night of the concert!